So much for reticence. 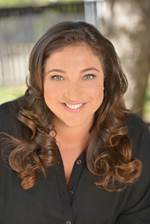 Unlike the British, we Americans don’t hesitate to rush to Jo Frost—aka Supernanny—with our questions and pleas for domestic peace. For 25 years, Jo has been rescuing us from our inefficient childrearing ways with an SOS of her own. “It’s been a beautiful journey here in America with respect to having much love and support from families in person and online—my Twitter overflows,” Jo is quick to say. Yet, here in the states, we want what we want when we want it—and we want family harmony, like now. So are you surprised that Jo says the secret to her success has more to do with parents stepping back, listening and then acting in a calm and chosen way? “To do my job, I’ve got to be a very good listener. I listen to those families and what they need.” So listen up, gentle reader, because the first thing we need to hear is that the controversial “D” word is part of the solution we seek. “In America, when somebody says, ‘I’m a disciplinarian,’ it’s frowned upon. We go to this extreme image of our parents standing over us with a paddle being unrealistic. A parent who is learning to instill positive, role model behavior has to discipline so that a child learns the importance of acceptable and unacceptable behavior,” says Jo. Hence, Jo Frost’s Toddler Rules, her newest book, which gives us not only the rules but the SOS tools to perfect our parenting—specifically around sleep, nutrition, social skills, learning and good behavior. Do they have a routine for their days and social activities? How does this all come together at the end of the day? “When you can get that straight, you completely shape the appropriate behavior and you don’t end up with those temper tantrums at the table, at sleep time or during social play because you’ve dealt with each fundamental already,” she says so easily, as if saying it simply makes it happen. And one of the reasons this is really important is because “You’ll take the bits you love and you’ll forward them into your own relationships and parenthood. And you’ll leave some bits behind because times have changed and you believe in different things, and you begin to see you’re raising children for the longer term, not the short term.” Well spoken, Supernanny, well spoken.